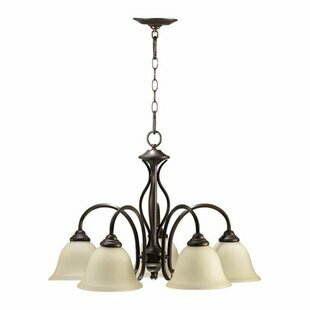 Fixtures within this collection offer a handsome look for farmhouse or rustic living spaces. 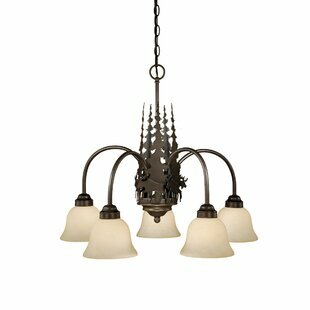 Featuring a steel design frame painted to emulate driftwood adds a modern element. 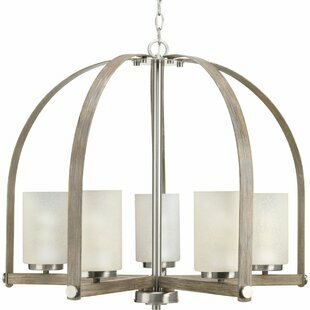 Etched natural parchment glass shades complete the look. 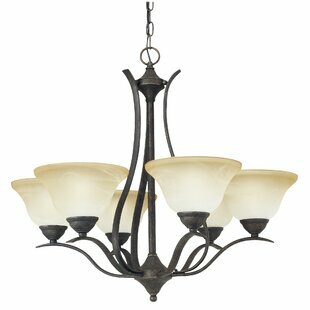 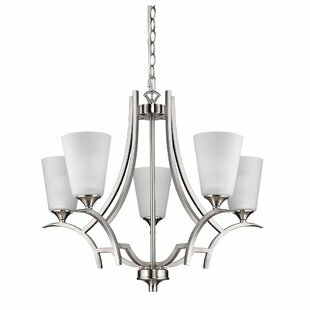 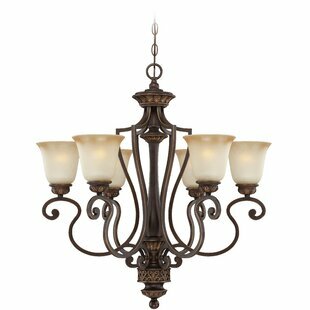 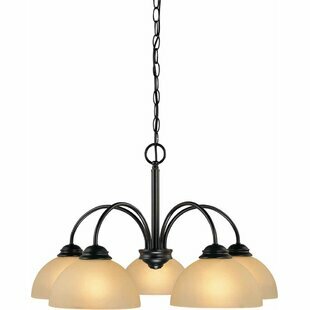 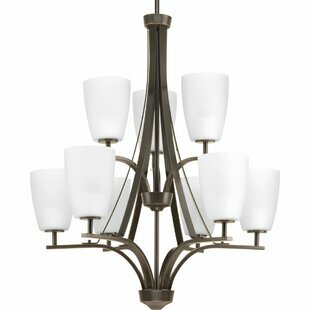 Number of Lights: 5 Fixture Design: Shaded Chandelier Adjustable Hanging Length: Yes Fixture: 24 H x 30 W x 30 D Overall Weight: 17.42lb.